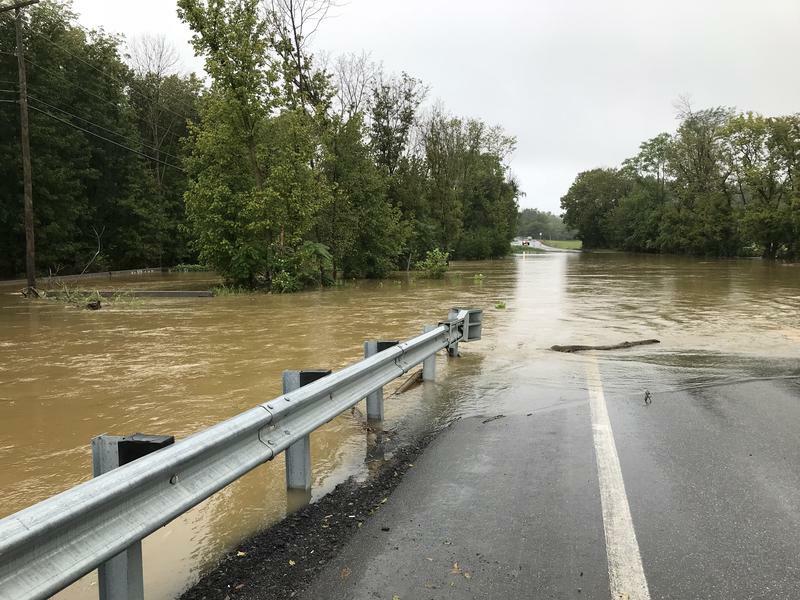 As rainfall from Hurricane Florence makes its way into West Virginia, Major Nate King with the West Virginia National Guard said the agency is monitoring the risk of flash flooding across the state over the next two days. 2-3 inches of rain is forcasted in the high mountains, and 1-2 inches is forecasted for much of the state, King said. Hours inland from the U.S. East Coast in mountain communities and narrow river valleys of Appalachia, angst is building with the approach of Hurricane Florence. 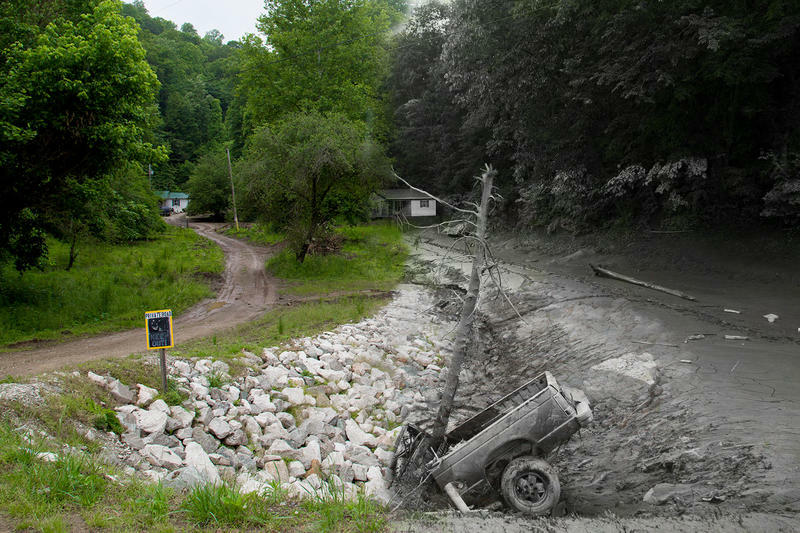 A series of thunderstorms pelted a wide swath of West Virginia two years ago. Nine inches of rain fell in 36 hours in some areas in June 2016, leaving 23 dead statewide and destroying thousands of homes, businesses and infrastructure. Both the Northern and Eastern Panhandles are experiencing flooding this week as rain continues to fall on the two regions. Preparations are also being made across the state to respond to possible heavy rainfall from Hurricane Florence at the end of the week. 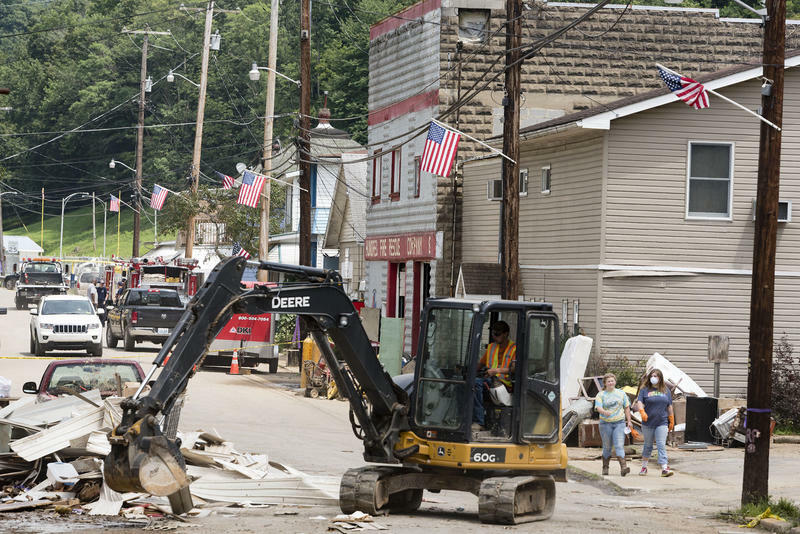 President Donald Trump has approved a major disaster declaration in West Virginia after flooding, mudslides and high winds ravaged parts of the state. Updated on Monday, June 4, 2018 at 1:45 p.m. Listen to the update from Monday, June 4, 2018. 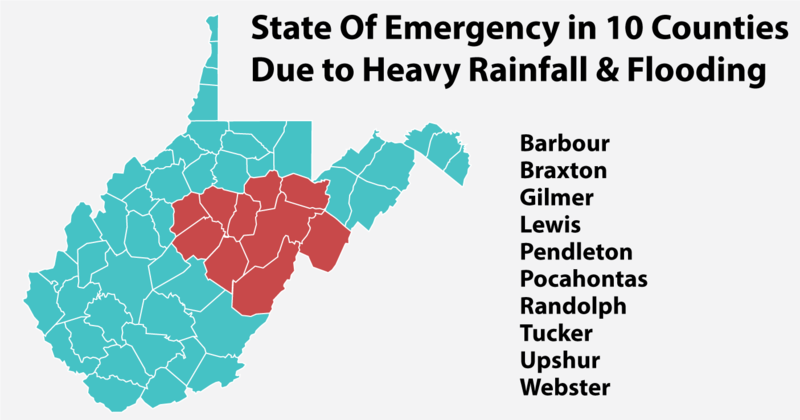 Governor Jim Justice declared a state of emergency for a handful of counties in the Eastern Panhandle this weekend due to flooding from heavy rainfall. Berkeley, Jefferson, Morgan, Grant, Hampshire, Hardy, Mineral, and Pendleton counties are under the state of emergency. Final Update on Monday, May 21, 2018 at 3:17 p.m.
After several days of continuous rainfall, the Eastern Panhandle is no longer under a flood warning or flood watch by the National Weather Service. Listen to the final update from May 21, 2018. State of Emergency Issued for Flooding in Parts of North Central W.Va. 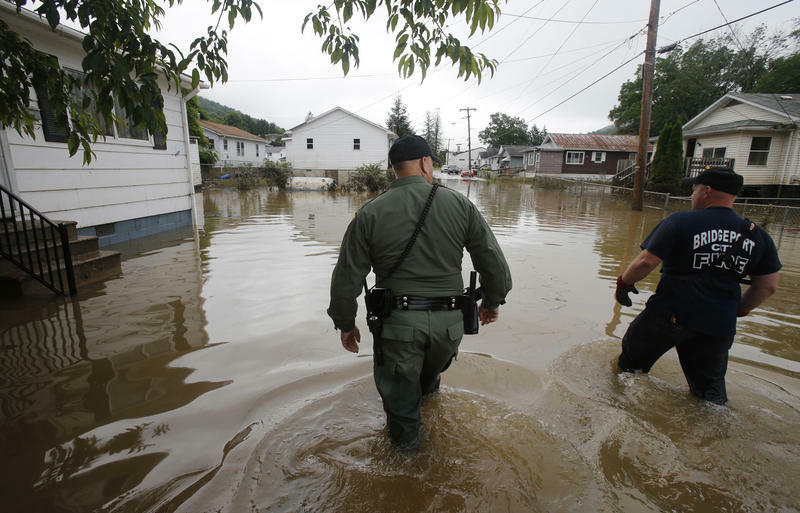 Ten West Virginia counties are under a State of Emergency due to flooding caused by heavy rainfall. Governor Jim Justice made the declaration in an emailed statement to reporters Monday afternoon. With the National Weather Service forecasting rain through the weekend, Gov. 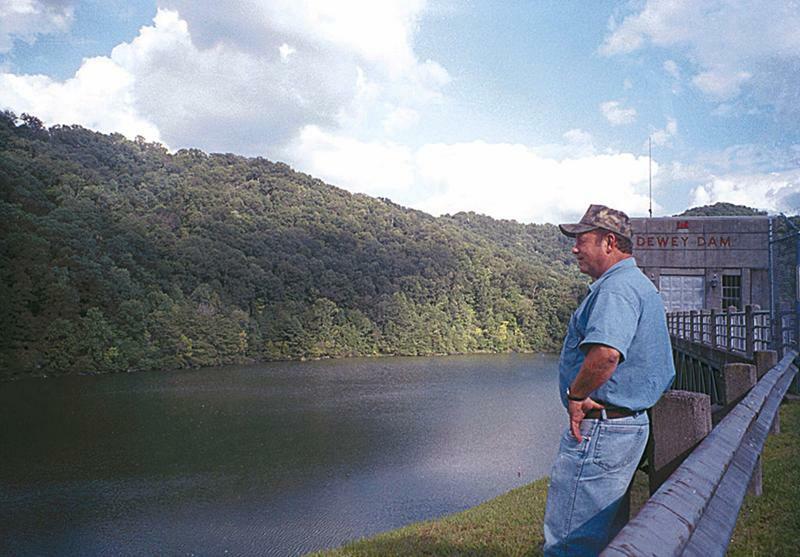 Jim Justice has directed state emergency officials and the West Virginia National Guard to prepare for potential widespread flooding. 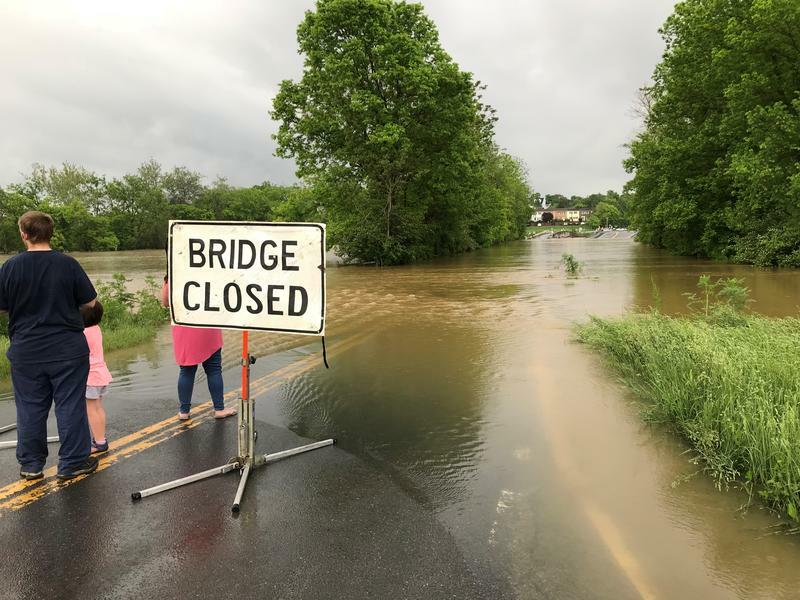 UPDATED: Amid Rising Waters, Road Closures and High Water Warnings Issued Across W.Va.
20 counties across West Virginia have been included in a West Virginia Department of Transportation report issued Monday warning drivers about roads that are closed due to high water. West Virginia Gov. Jim Justice declared a state of emergency early Saturday for all 55 counties. According to a news release from the governor, heavy rain triggered flooding in multiple locations and is expected to continue throughout the weekend. 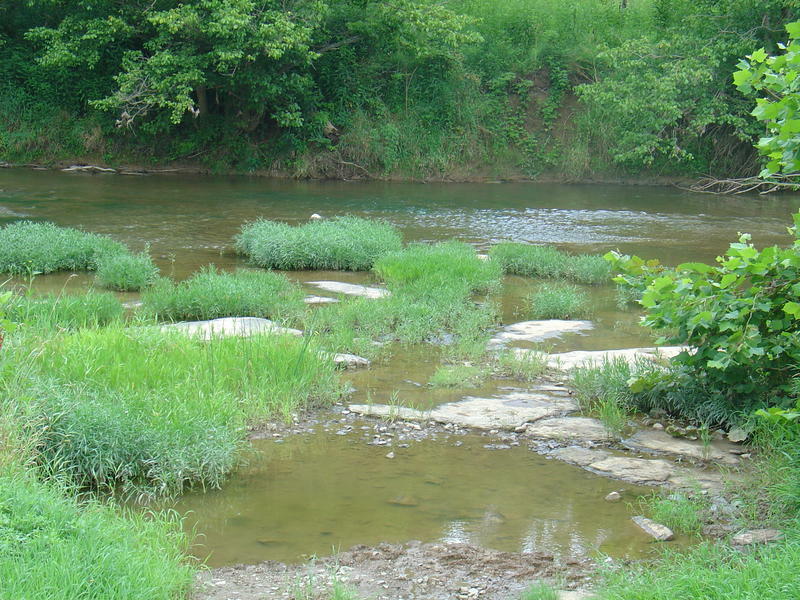 A West Virginia legislative committee dedicated to flooding has been warned the state needs a more comprehensive way to fund stream gauges, which provide data needed to help warn residents of impending high waters. Harvey. Irma. Maria. The hurricane season’s super-charged storms have highlighted the importance of disaster planning, and the aftermath offers a fresh lesson in just how long and difficult recovery can be. 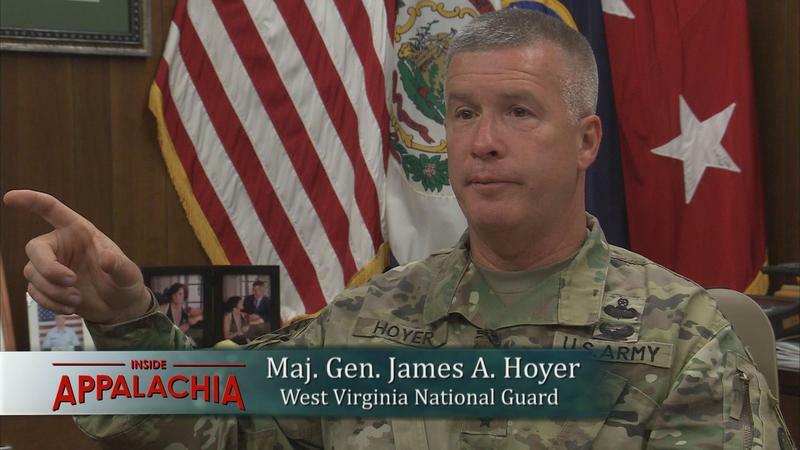 The head of the West Virginia National Guard says the state needs to set standards to make sure water and sewer plants located in flood plains can withstand flooding. West Virginia officials are warning farmers about the possibility that their hay could be contaminated by recent flooding. 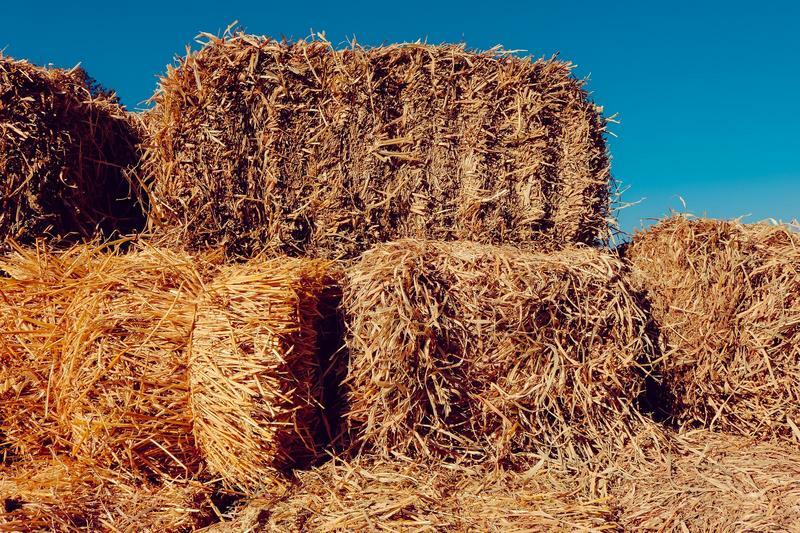 The state Agriculture Department said in a news release feeding contaminated hay to animals can be dangerous. 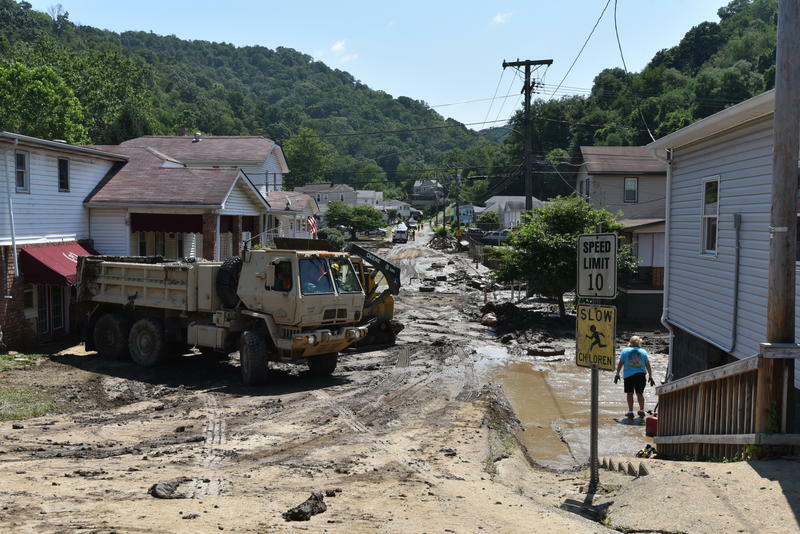 Twelve West Virginia counties have been granted public assistance by the Federal Emergency Management Agency (FEMA) for emergency work needed after July 28 and 29 storms damaged or destroyed buildings and homes. The severe storms caused flooding, landslides and mudslides across the northern part of the state. Individual assistance will be made available to individuals and households in Harrison, Marion, Marshall, and Wetzel Counties. 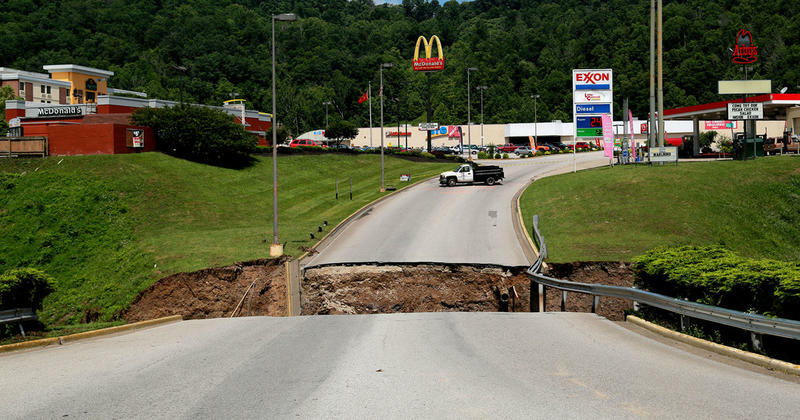 A department store is reopening next month at a West Virginia shopping center that was marooned and shuttered after flooding last summer washed away an access bridge. 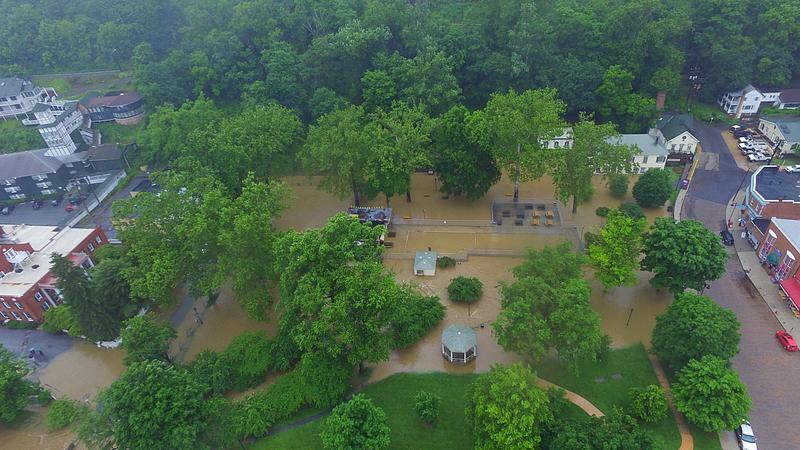 Last weekend’s flash flooding in northern and north-central West Virginia has caused over $10 million dollars in damages. 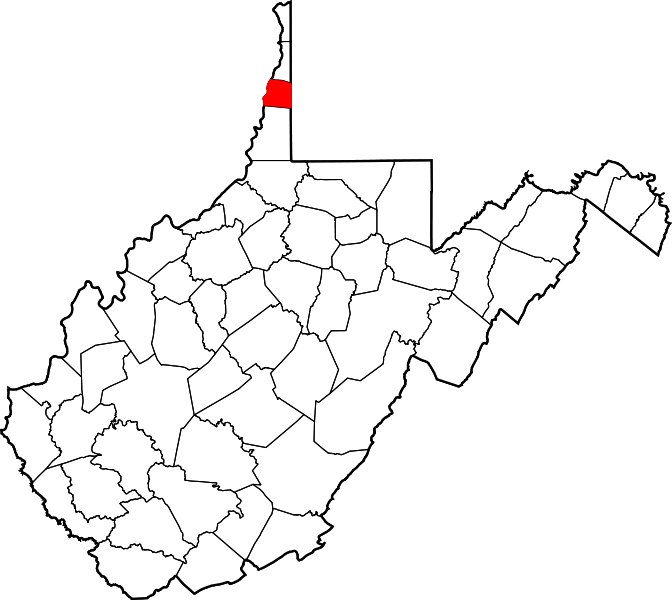 Eleven counties are facing damage costs totaling $10,604,778, according to the West Virginia Department of Transportation. 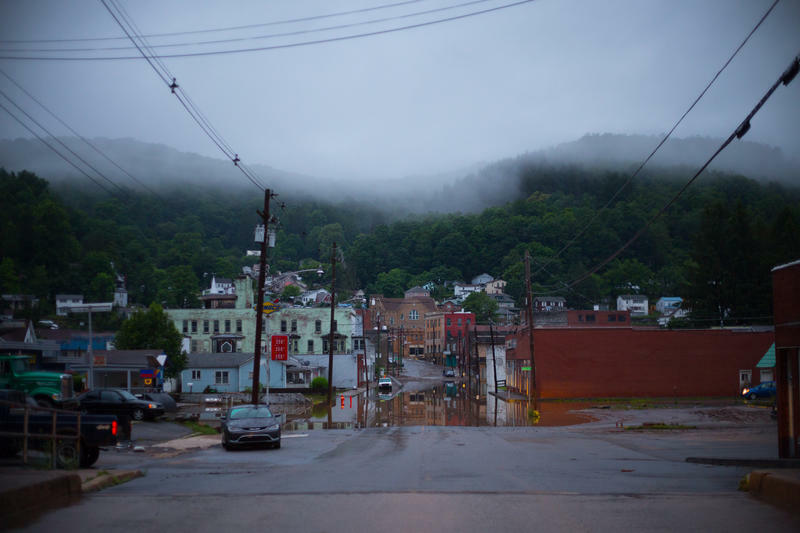 Flash flooding in northern and north-central West Virginia communities has left millions of dollars in damage to homes, businesses and infrastructure. The rain that began Friday, July 28, resulted in high, rushing waters that days later, families are still trying to recover from. Eight counties are under a state of emergency and members of the National Guard have been mobilized to deal with the damage. 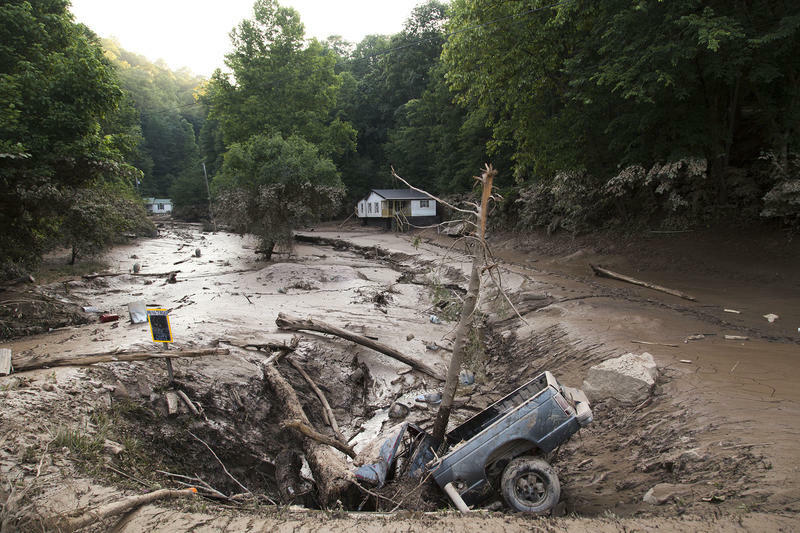 Flash flooding in northern and north-central West Virginia communities has left millions of dollars in damage to homes, businesses and infrastructure. The rain that began Friday resulted in high, rushing waters that days later, families are still trying to recover from. Eight counties are under a state of emergency and members of the National Guard have been mobilized to deal with the damage. Residents in northern West Virginia pulled together Sunday to begin cleaning up from flooding as Gov. 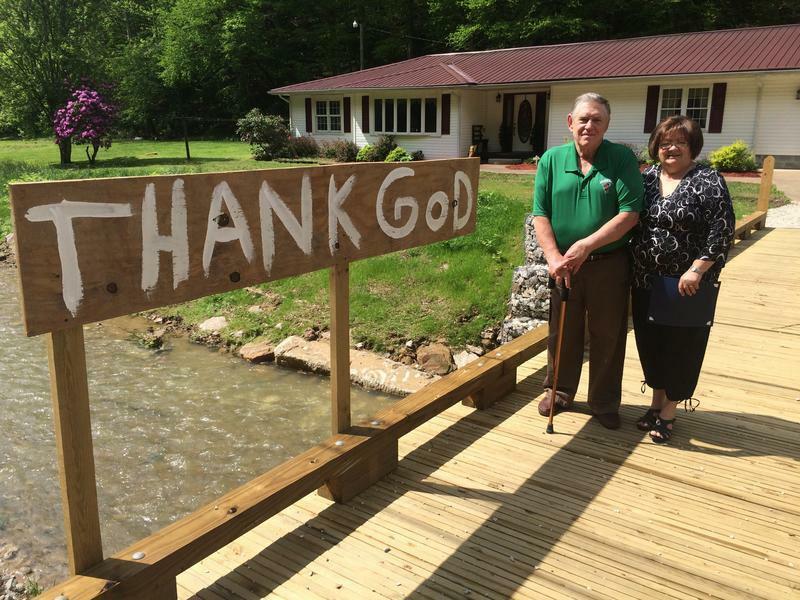 Jim Justice visited areas to see the damage from recent storms. Media reported Justice visited Mannington to survey flood damage from Friday and Saturday as well as other areas that were flooded from storms on July 23. 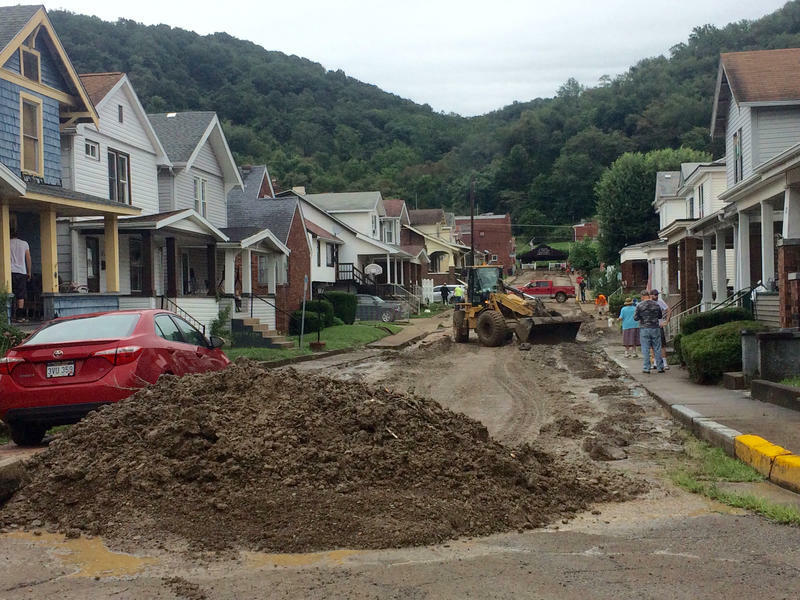 Flood cleanup continues in northern counties in West Virginia. The National Guard is on the scene in the worst-hit areas, like Marion County, where some say it’s the worst flood they’ve seen since the 80s. 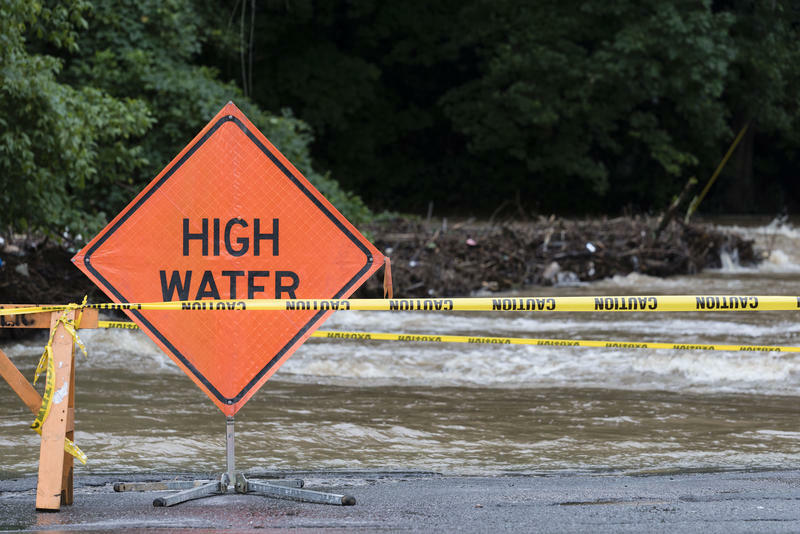 One person is dead and two are missing after heavy rains caused flooding in areas of West Virginia and Kentucky, authorities said. 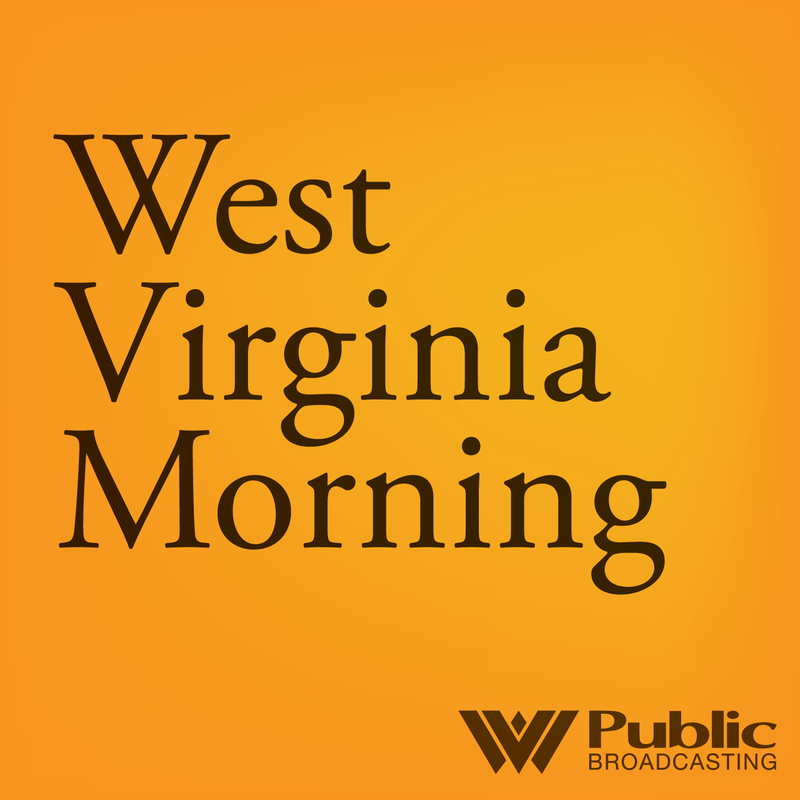 In West Virginia, Ohio County Emergency Management Agency Director Lou Vargo said a van with two people inside rolled into a stream that flows into Wheeling Creek on Sunday. He says a man was recovered from the floodwater and taken to Wheeling Hospital, where he died. 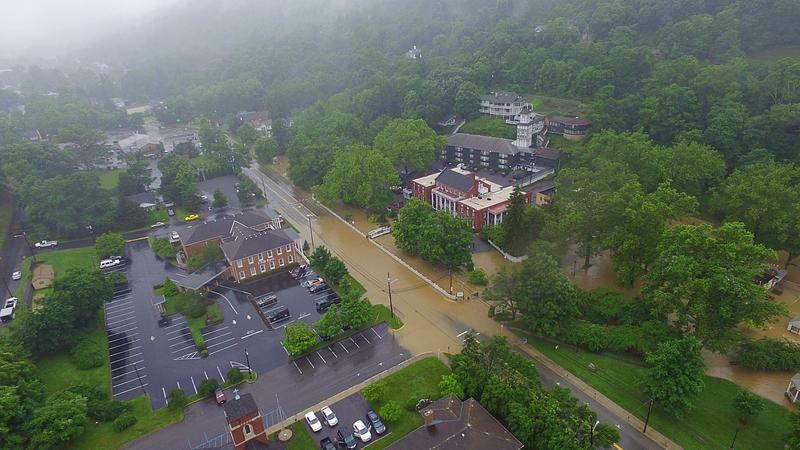 Emergency officials say storms caused some flooding in northern West Virginia as heavy rain crossed the state Wednesday. Spokesman Lawrence Messina says the Division of Homeland Security and Emergency Management activated its system for county and local authorities to report conditions and request help. Messina says they are seeing "some roadway ponding and drains backed up," with some schools canceling classes as a precaution. 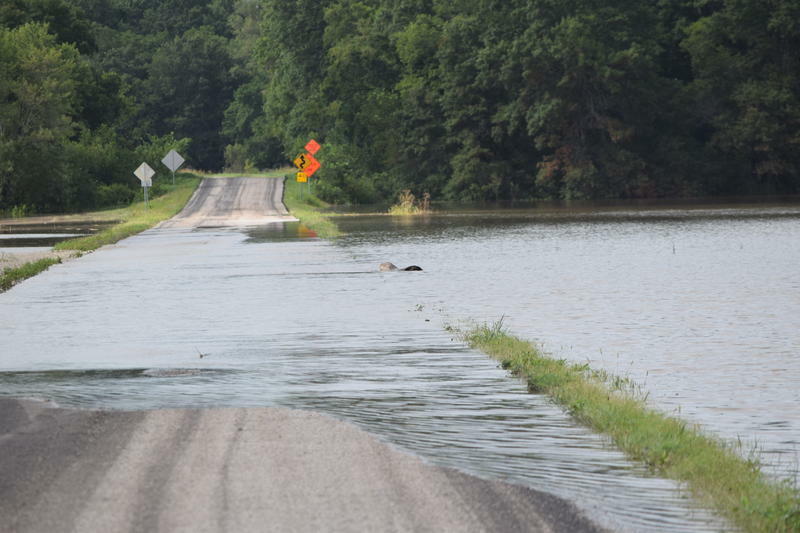 Transportation officials say a dozen roads closed in Marshall and Tyler counties from high water with several others closed in Fayette County from downed trees. 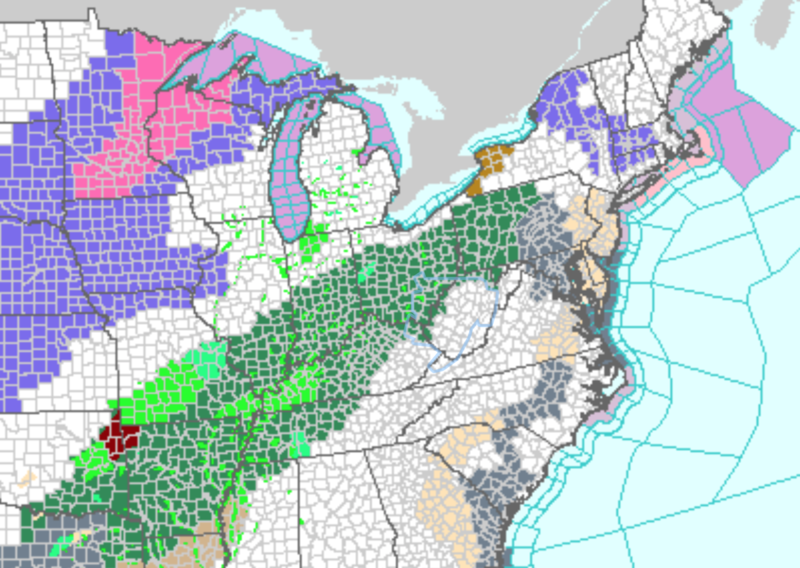 A National Weather Service meteorologist called it a "1-in-1,000-year" storm. By the time it was over, 23 West Virginians were dead. 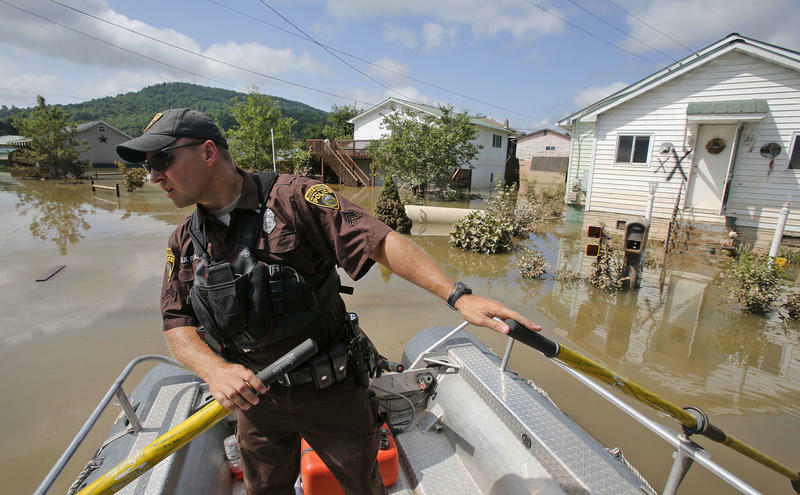 Flooding that ravaged the state in late June was voted the No. 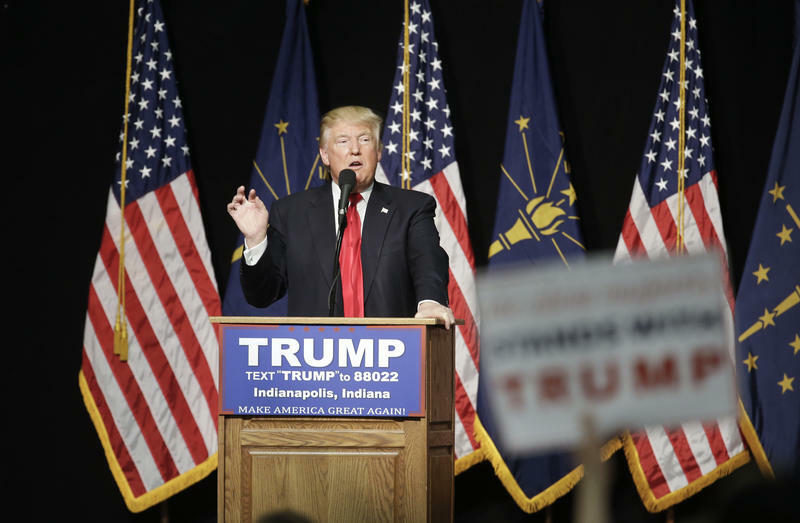 1 news story in 2016 in West Virginia by Associated Press member newspapers and broadcasters. 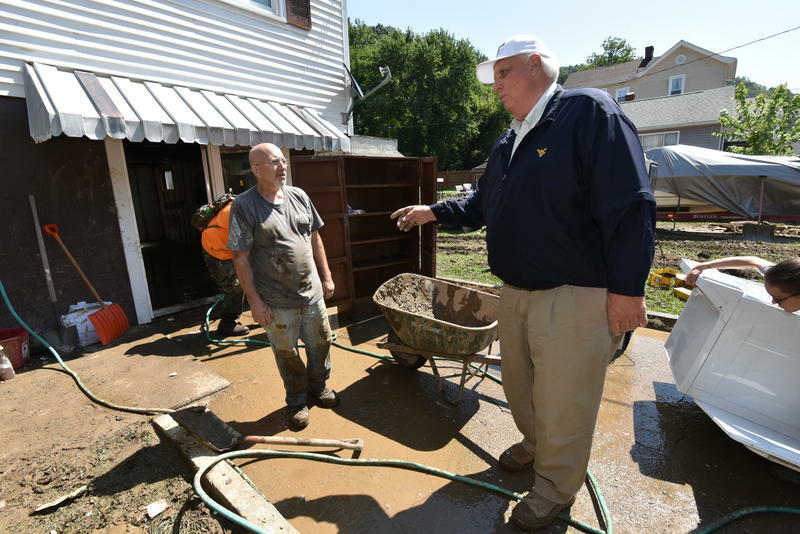 West Virginia officials say the state has been awarded a $5 million federal grant to put case managers in each county hurt by flooding in June and help flood victims with remaining unmet needs. 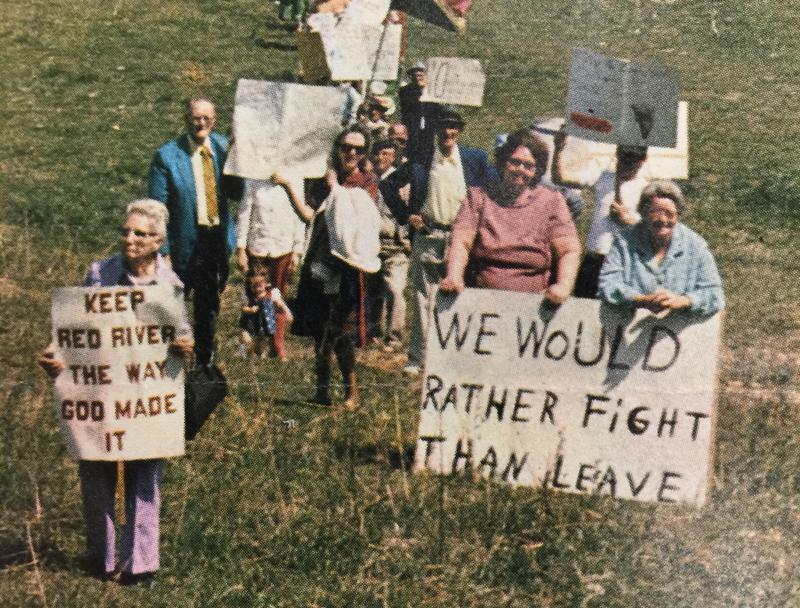 This week on our Inside Appalachia podcast, we're revisiting some of the stories from our recent TV episode of Inside Appalachia. 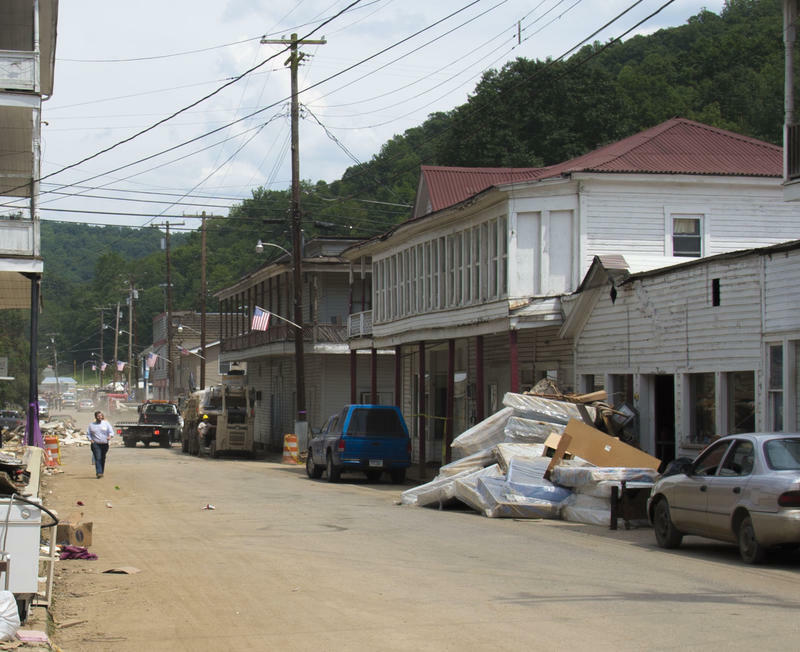 We hear stories of heroism and survival in towns like Richwood, Rainelle, and Clendenin. 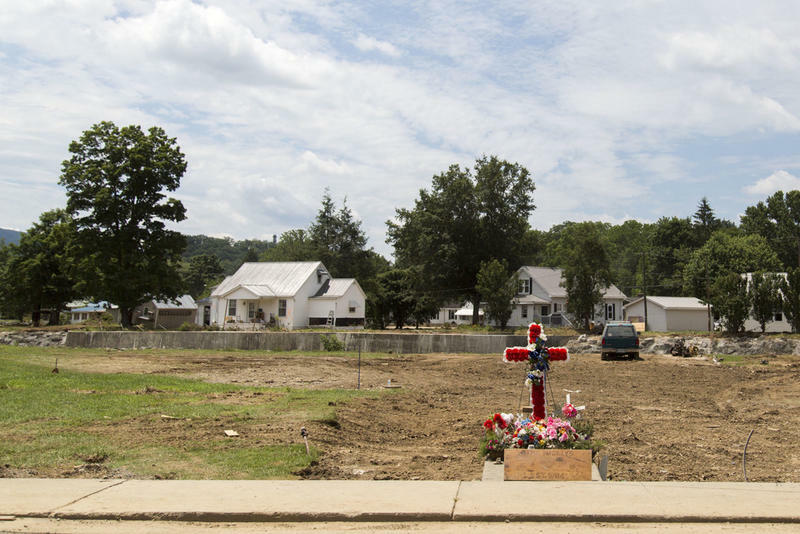 Residents and community leaders share their stories of loss and resilience. About three weeks after June’s historic flooding, Governor Earl Ray Tomblin appointed Major General James Hoyer of the West Virginia National Guard as Chief Recovery Coordinator – tasked with building a team of volunteers to lead flood recovery efforts in southeastern West Virginia. Hoyer asked state Senator John Unger to be one of those team members.